This is part 4 of a 6 part hands-on unit study on Earth Science. Make edible volcanoes, build an erupting ring of fire, demonstrate plate tectonics using graham crackers, form each type of volcano using play-doh, and more! 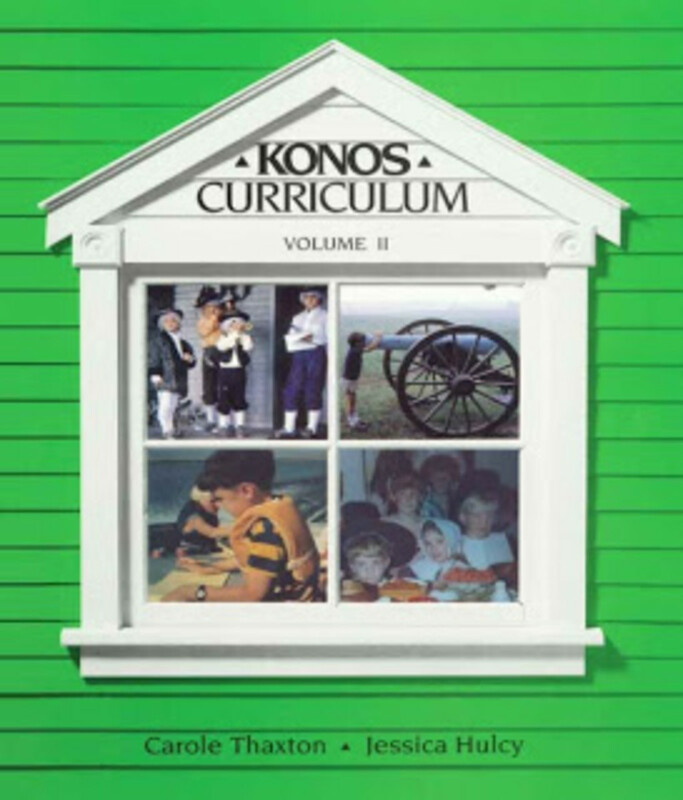 My lessons are geared toward 2nd-3rd grade level children and their siblings. These are lessons I created to do with a weekly homeschool co-op. We meet each week for 2 1/2 hours and have 14 children between the ages of 0-12. Use these fun lessons with your classroom, family, after school program, camp, or co-op! 1. Stretch & pray. Read & discuss Hebrews 12:18-29. 2. Quickly review the destruction to the Earth from the flood. a. Review the layers of the earth by having the children sing “How God Put the Earth Together” from week 1's lesson. c. These earth’s layers are not always still. According to the hydrotectonic theory (Have the children say, “Hydrotectonic Theory.”), when the waters burst forth from the depths of the earth during Noah’s flood, the earth’s upper crust broke apart kind of like when you break apart a puzzle. [Demonstrate by separating the pieces of a puzzle.] The pieces of the earth’s crust still move around a little bit. Geologists call each of these puzzle pieces tectonic plates. d. According to the Plate Tectonic Theory (Have the children say, “Plate Tectonic Theory”), the earth's crust is broken into plates which move. The movement causes continents to move, volcanoes to erupt, and oceans to spread. 4. 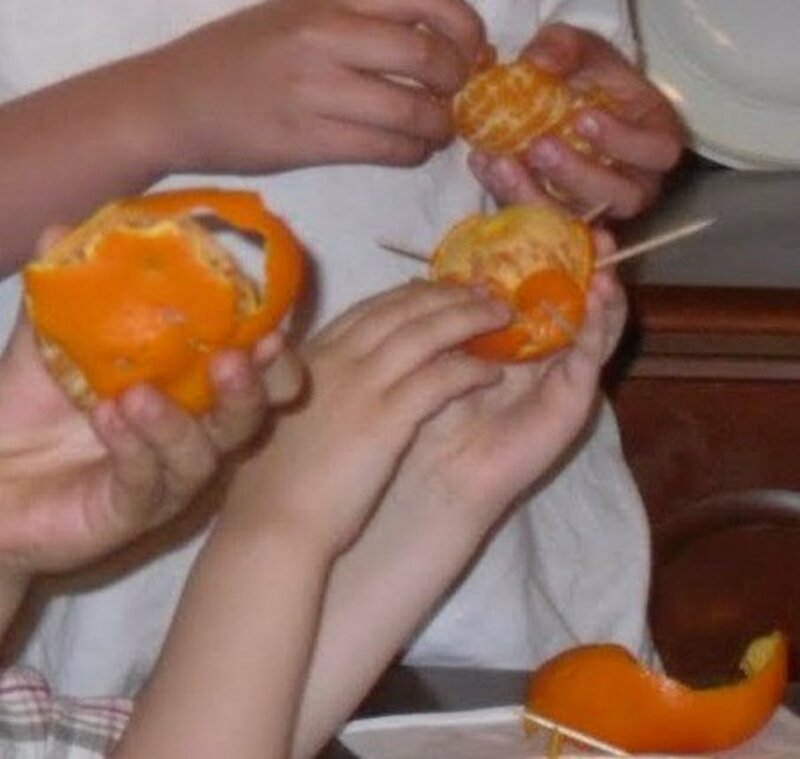 (PREP: When the class-co-op starts, lay a napkin, clementine, & 4 toothpicks at each seat.) Let children sanitize hands. Pass out a Clementine to each child and have them peel it, trying to peel it all together as much as possible. Have them flatten out the peel and then try to put it back over the Clementine, securing it with toothpicks. After the flood, the Earth had a different shape. It also had fault lines like the rips in the Clementine skin. As the land (represented by the peel) bumps together, that causes volcanic eruptions and earthquakes. Eat clementines. *If you would like additional hands-on activities on plate tectonics and fault lines, go to http://www.lessonpathways.com . iii. Sometimes at a convergent boundary one plate goes underneath another plate. Geologists call that subduction. [Have children say, “subduction” while pushing 1 hand partially under the other hand.] Again, subduction isn’t one of the 3 plate boundaries. It’s something that happens at convergent boundaries. v. Repeat 3 more times the hand movements and have the children say the boundary names as they go through each movement. 6. Use double stuff oreo cookies to demonstrate different plate movements. a. Give each child a double-stuff oreo cookie and a napkin. b. The earth’s crust or outer shell is called the lithosphere. Have the children say “lithosphere.” In Greek “lithos” means hard rock. The plates, composed of Earth’s crust and uppermost mantle, ride on a warmer, softer layer of the mantle, called the asthenosphere. Have the children say “asthenosphere.” The upper cookie will represent the lithosphere, the white filling will be the asthenosphere, and the lower cookie piece will be the lower mantle. Tectonic plates move in three basic ways. c. Carefully detach the upper cookie by twisting it. Slide the upper cookie over the white filling. You are showing a rigid lithospheric plate move over the softer asthenosphere. d. Earthquake: Break the upper cookie in half. As you do so, listen to the sound it makes. What does that sound represent? An earthquake! Earthquakes do not occur in the soft, flowing asthenosphere. They occur on brittle lithosphere. Each of these cookie halves is going to represent the place on our earth where 2 tectonic plates meet. Let’s determine how they move and what happens when they move. e. Divergent plate boundary: (Have children say, “divergent.”) Push down on the 2 broken cookie halves and slide them apart. What happens to the creamy filling? What happens to the cookies as they push against each other? Just as the filling in the middle rose as the crackers moved, new earth (or magma) rises between plates when they spread apart. The creamy filling between the two broken “plates” may tend to flow upward, similar to the rising, decompression, and partial melting of hot asthenosphere at the Mid-Atlantic Ocean Ridge and the Continental Rift Zone near and below Iceland. f. Convergent plate boundary: (Have children say, “convergent.”) Push one cookie piece beneath the other. What happens to the filling as the plates slide together? The cold, brittle lithosphere extends to great depths and deep earthquakes occur. Just as the ends of one of the cookies goes up when they come together, mountains are pushed up when plates are pushed together in a convergent boundary. The very largest earthquakes are at subduction zones where two plates get stuck together, then suddenly let go like what happens along the coast of Oregon. Subducton zones are frequently found where an ocean plate meets a land plate. 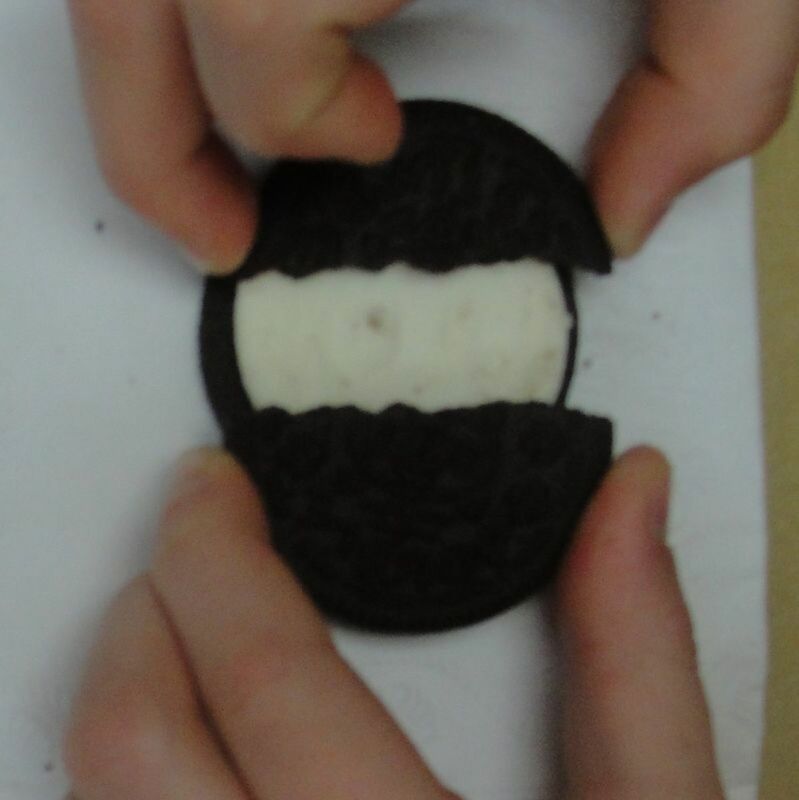 g. Transform plate boundary: (Have children say “transform.”) Slide the two cookie pieces laterally past one another, over the creamy filling. What do you notice about the cookie edges? Just as the crackers slide past each other and create a lot of friction, plates that rub together in the same way are very destructive. You can feel and hear that the “plates” do not slide smoothly past one another, but rather stick then let go, stick then let go. 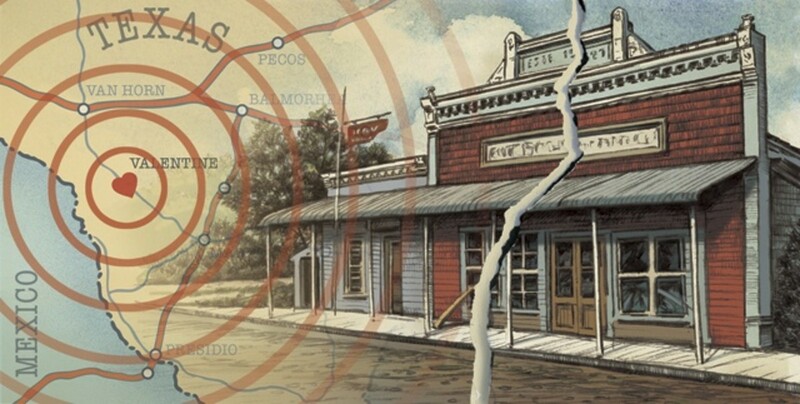 The cracking sound you hear each time is like an earthquake occurring along the San Andreas Fault in California. h. Let’s name those 3 types of movements again: divergent, convergent, and transform. i. Hotspots: Some of Earth’s landforms are created by hotspots (have the children say “hotspot”) where a plate rides over a fixed “plume” of hot mantle, creating a line of volcanoes. Imagine if a piece of hot, glowing coal were imbedded in the creamy filling – a chain of “volcanoes” would be burned into the overriding cookie. We’ll learn about volcanoes in just a little bit. j. Allow children to eat the cookie. 8. 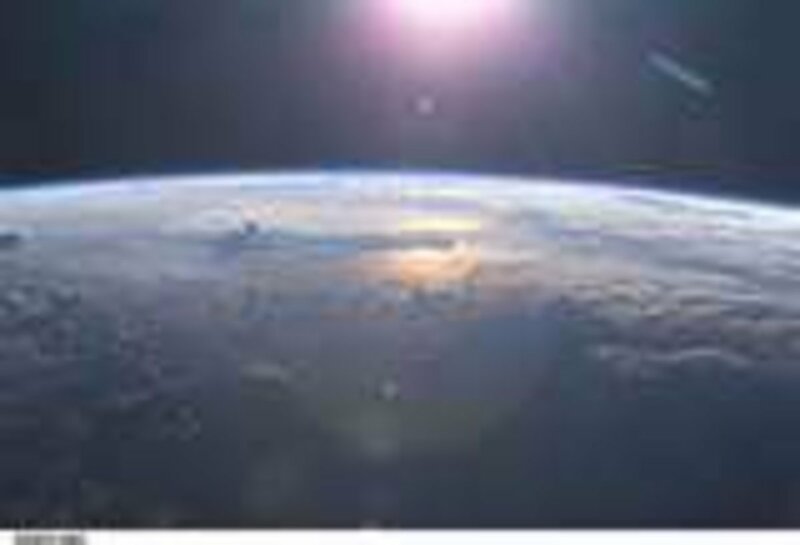 (If you are not limited by time) Show how gravity is trying to pull the continents back toward the Pacific Ocean and how the lithosphere is significantly thinner under the Pacific Ocean as opposed to the Atlantic Ocean; therefore magma (melted rock) oozes out there more frequently than other places. Do this by putting some applesauce in a snack-size Ziploc bag. Push through the middle (like the floodwaters bursting up from the depths of the earth). Notice how the middle is thinner and everything is settling back toward that area. The crust below the Pacific Ocean is much thinner than the crust below the Atlantic Ocean, so magma oozes out more readily through those cracks. The continents are slowly drifting toward the Pacific Ocean just like the applesauce is slowly moving toward the thin spot in the middle. This provides a good overview of volcanoes and has nice illustrations. This would also make a good read aloud option to introduce volcanoes. a. Show children how to separate the dough into 2 thinner circles. Each of these will be a volcano. b. The will use their spoons to place a scoop of taco meat onto each of their volcanoes and then sprinkle that with crushed corn chips. 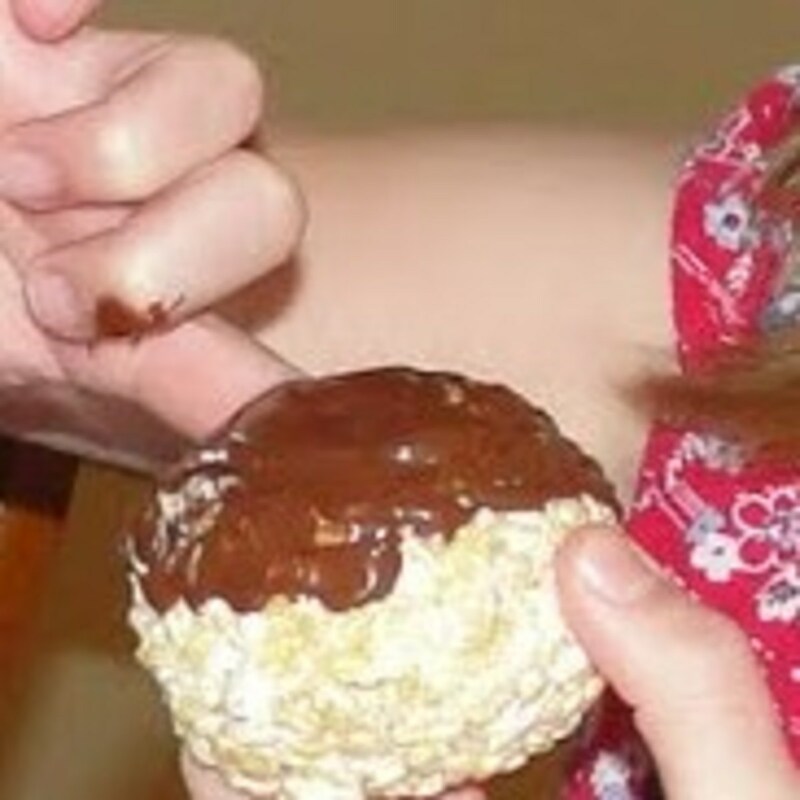 They will then squeeze the outer edges upward into the cone volcano shape. c. Use the extra biscuits to make additional volcanoes for teachers/moms. d. Place them on a baking sheet and bake them at 375 for 12 minutes. Also look for Volcanoes! Mountains of Fire (Step-Into-Reading, Step 4) by Eric Arnold, Eruption! The Story of Volcanoes (Dorling Kindersley Readers, Level 2: Beginning to Read Alone) by Anita Ganeri, Hill Of Fire (I Can Read, Book 3) by Thomas P. Lewis, Pompeii...Buried Alive! (Step into Reading)by Edith Kunhardt Davis, Volcanoes! (National Geographic Readers) by Anne Schreiber, and Volcanoes: Mountains That Blow Their Tops (Penguin Young Readers, L3), by Nicholas Nirgiotis. Diving to a Deep-Sea Volcano (Scientists in the Field Series) by Kenneth Mallory has photographs of scientists exploring underwater volcanoes. We didn't read the entire book, but we did enjoy the photos! This was my older children's favorite book on volcanoes. It is about a scientist who visits other scientists to learn about volcanoes. It has graphic (comic book) style illustrations and is kind of like a more advanced Magic School Bus book. All of my children and students love the Magic School Bus series! This follows the Magic School bus as it explores an underwater volcano so that the students can learn how volcanoes form in the Pacific Ocean. 11. Show a "volcanic" eruption using a tube of toothpaste and a pin using the below script that came from this Earth Science Unit. 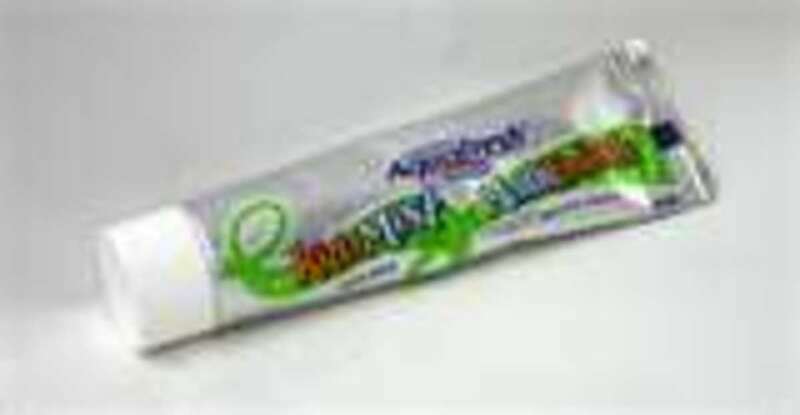 The tube will be the lithosphere and the toothpaste will be the molten magma under lithosphere. Press on tube and puncture it with a pin. The magma is moved by strong heat & pressure. If it finds a crack or fault line, it will erupt & release pressure. a. If you have available space outside, shake up a can or bottle of soda and then open it. If you don't have the available space to demonstrate this, instead ask the children, "Have you ever shaken up a can or bottle of soda and then opened it? What happened?" All those gas bubbles in the soda pushed themselves and most of the liquid right out of the top of the can or bottle! That is similar to what volcanoes do. b. Volcanoes are mountains, but they are a little different than mountains. How are they similar to mountains? How are they different? d. This is what happens with a volcano when it erupts. 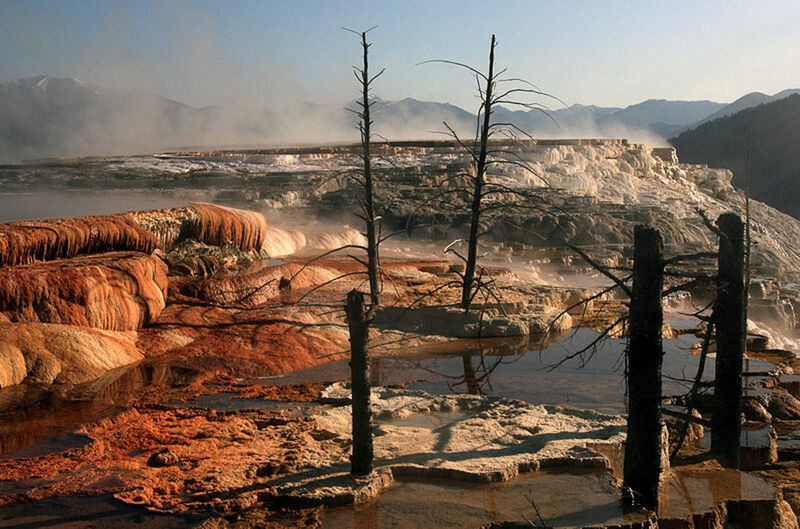 Magma, a mixture of gases and hot molten rock, collects in a chamber deep inside the earth. As more and more magma enters the chamber, more and more pressure builds. The magma pushes hard against the surrounding rock, opening up cracks wherever there are weak spots. Eventually one of the cracks opens almost all the way to the surface. Volcanoes are kind of like Earth's safety valves, releasing built up pressure from deep inside the Earth. 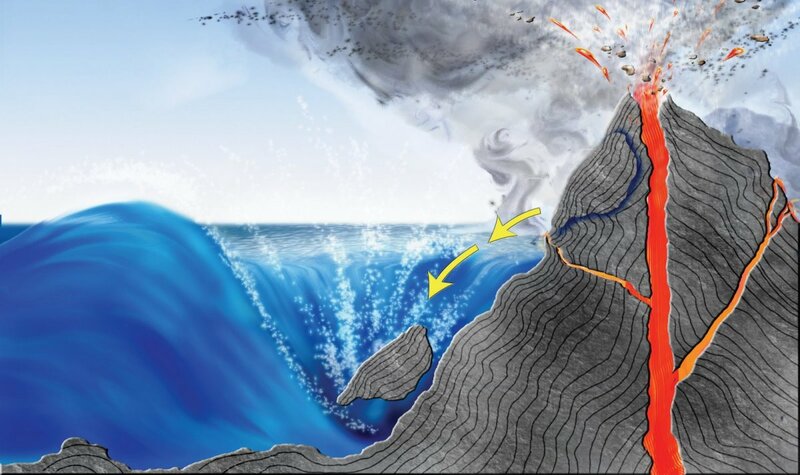 Volcanoes erupt through weak spots in the Earth's surface, usually at tectonic plate boundaries. f. As the magma rises through the tube and gets closer to the surface, the gases in the molten rock form bubbles, like the bubbles in a shaken can of soda. The bubbles push even harder against the cap (the Earth's crust) until it blasts through, blowing a hole right through the surface. Hot steam, ash, and gases come bursting out, pushing huge chunks of rock and big globs of lava (liquid magma that reaches the surface; also the rock formed when liquid lava hardens) into the air. Then even more lava spills over the top. b. Most volcanoes do not erupt continuously. Geologists (scientists who study the forces that make and shape the planet Earth) often describe volcanoes with terms usually reserved for living things, such as sleeping, awakening, alive, and dead. An active, or live, volcano is one that is erupting or has shown signs that it may erupt in the near future. A dormant, or sleeping, volcano is like a sleeping bear. Scientists expect a dormant volcano to awaken in the future and become active. However, there may be thousands of years between eruptions. An extinct, or dead, volcano is unlikely to erupt again. *If you would like to add a bit of art into your lesson, check out these paintings (some modern and some classical) that feature volcanoes: saturday-volcano-art . 13. Sing the volcano song. (If you want to print off a worksheet that shows the parts that they can label later, you can find one at http://www.abcteach.com/free/d/diagram_volcano.pdf . a. Quickly tell the children the steps in the life of a volcano by using the script that came from this Earth Science Unit: Magma rises to the surface from under the earth. Magma goes up the conduit due to pressure from heat. Magma, hot air, and gas burst out of the Earth's crust and create an area called a crater and a cone top. Magma outside the Earth is called lava. It flows on the land. Lava cools and hardens as igneous rock. The side of the volcano cracks. Air and magma come out to form fissures. Eventually, the lava outside the Earth and magma within the Earth harden. The volcano becomes extinct and doesn’t erupt anymore. b. Sing What's Inside a Volcano? What's inside a volcano, volcano, volcano? What's inside a volcano? Let's find out! Magma, air and hot ash, deep inside. 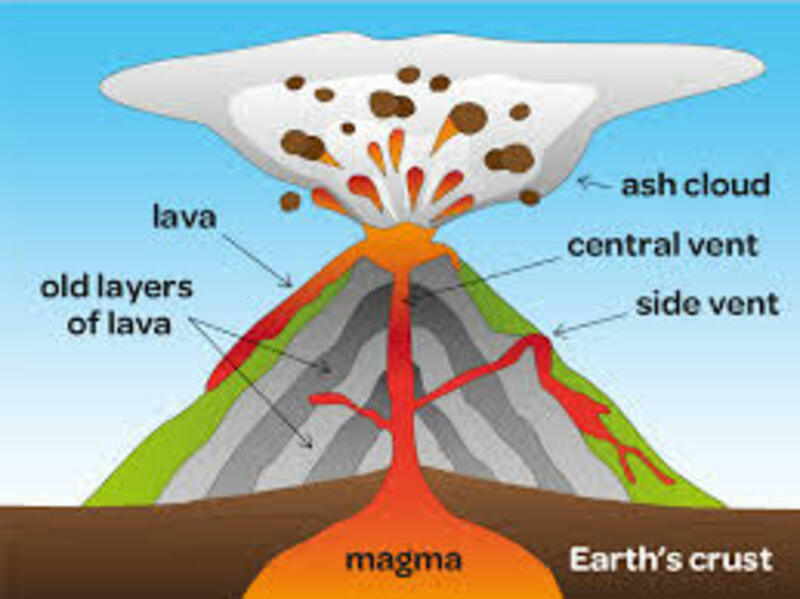 *If you want to spend more time on types of volcanoes, you can find a fun skit on volcano types (along with a few more good volcano activities) at http://mjksciteachingideas.com/volcano.html#volskit . This has nice photos of a cinder cone (Paricutin), shield (Mauna Loa), dome (Mount Pelee), &amp; Composite (Mount Fuji). We also used the illustrated map from this book to show the Ring of Fire. This has nice illustrations of the general shapes of a conder cone, shield, and composite volcano. Seeing the illustrations in this book made it easier for the children to mold the shape out of Play-doh. We also really enjoyed reading this picture book as a family! Ring of Fire with Baking Soda/Vinegar Eruptions. You can either use a big box of sand or have individual buckets of sand. The sand keeps the "bottle volcanoes" from falling over as they erupt. 15. (Do this outside) [Prep: While a teacher/mom is demonstrating a volcanic eruption using a tube of toothpaste, ask another teacher/mom to assist you. Go outside and lay the buckets with bottles in them in an oval or if you have a smaller group or a sandbox, simply place the bottles in a pile of sand in an oval shape. Leave a bit of space between each bucket/bottle. Use a funnel to pour 1/4 cup of baking soda into each bottle. Pour about 3/4 cup of vinegar into each cup. Place a drop of red food coloring into each cup. 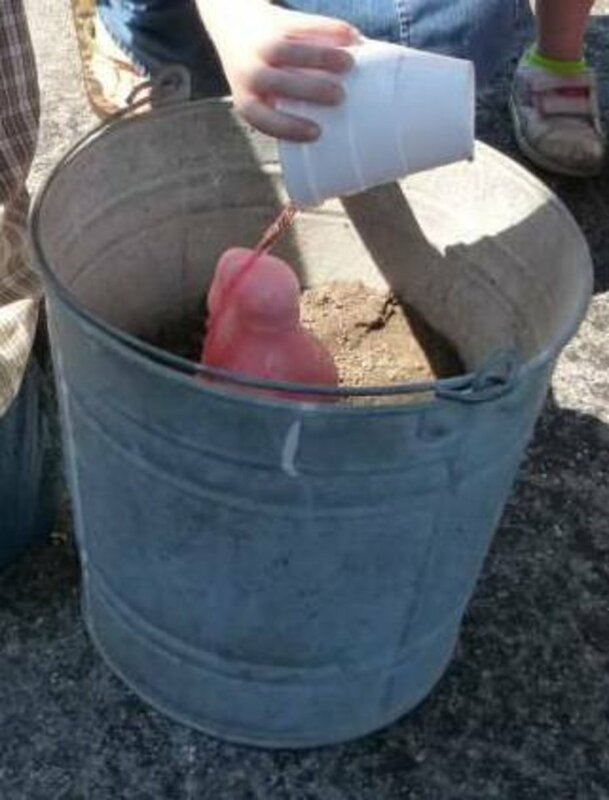 Place a cup next to each bucket. Pre-fill each bottle with baking soda. Pre-fill the cups with the vinegar and a few drops of red food coloring. a. Explain about the ring of fire using the script that came from this Earth Science Unit:There are nearly 850 active volcanoes in the world. At least 80 are beneath the oceans. When the edge of one ocean plate is pushed beneath another, the rock that has sunk into the mantle melts and rises, bubbling upward into the sea through weak spots in the other plate. When the lava touches water it cools and hardens. In some places so much lava has built up that it sticks far above the water. That’s how volcanic islands in the Pacific Ocean, such as the islands of Japan, were formed. c. We are going to create the ring of fire in the Pacific Ocean by each creating a bunch of volcanoes. Tell the children that each bottle has baking soda in it and each cup has vinegar with red food dye in it. When baking soda combines with vinegar, it creates a chemical reaction that forms a gas called carbon dioxide. d. Have the children pour the vinegar into their bottles. e. Tell children to go inside and wash their hands. *If you would like additional activity ideas, video clips, etc. on volcanoes, check out Kids Investigate Volcanoes or www.spacegrant.hawaii.edu . 14. (If you’re not running late on time) Sing the 2 songs from today: All 4 verses of “How God Put the Earth Together” & the volcano song. 15. 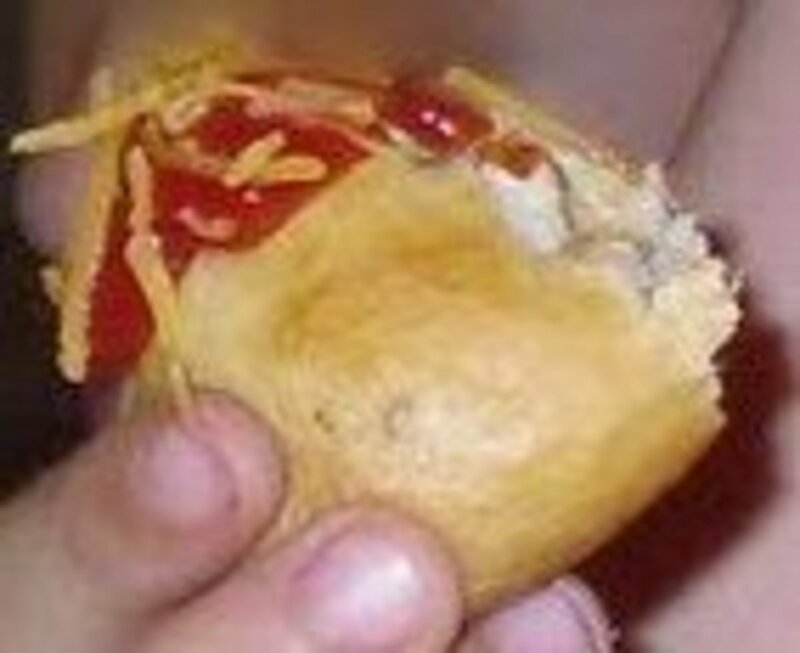 After volcanoes have come out of the oven, squirt ketchup onto edible volcanoes and sprinkle each with a bit of cheese. Let the children eat their volcanoes and drink water. 16. 5 Minute Review of what we learned: What event happened that caused the land on earth to break into pieces? (Noah’s flood) What do we call these pieces? (plates or tectonic plates) What do we call a crack in the earth's surface where two plates come together? (A fault or fault line) Are earth’s tectonic plates moving? (Yes) Remember we used oreo cookies to show this. A divergent boundary is a fault where what happens? (Two plates spread apart. )Use your hands to show me what happens at a divergent boundary. A convergent boundary is a fault where what happens? (Two plates push together.) Use your hands to show me what happens at a convergent boundary. Sometimes at a convergent boundary one plate goes underneath another plate. Geologists call that subduction. Show me subduction with your hands. A transform boundary is a fault where what happens? (Two plates rub in opposite directions.) Use your hands to show me what happens at a transform boundary. Sometimes at hotspots volcanoes form. Name something that is inside a volcano. (magma, air, and hot ash) What caused the magma to flow out of the volcano? (pressure & heat) When magma comes out of the fissure in a volcano, what do we call it? (lava) What type of rock does it become when it hardens: sedimentary, igneous, or metamorphic? (igneous) Name a type of volcano. (cinder, dome, shield, composite, stratovolcano). Most volcanoes are found in the Pacific Ocean in what ring? (Ring of Fire) What was your favorite activity from today? Joke: How is a volcano different from a mountain? - A volcano model prepared as follows: You will need an empty plastic bottle (such as a water or Gatorade bottle), a larger container (such as a sand pail), & dirt. Place the bottle in the sand pail. Fill the sand pail with dirt so that about half the water bottle is covered in dirt. Do not get dirt in the bottle. The dirt is simply there to keep the bottle from falling over when we create eruptions. You can assemble these at the church, but they need to be assembled before class/co-op begins. -books: "Volcanoes" by Franklin Bradley & a book that shows the main types of volcanoes such as "Discovering Earthquakes and Volcanoes" by Laura Damon and "Dangerous Volcanoes" by Seymour Simon. Make an edible model of the earth as you study the Earth's layers, bake cookies that demonstrate how sedimentary, metamorphic, and igneous rocks form, create fossil casts, build marshmallow structures that can withstand a jell-o earthquake, carve gullies and valleys in sand using wind, water, and ice, make presentations on various aspects of the Earth, and more during this 6 lesson hands-on unit study of Earth Science! Earth's Layers and Soil Composition Lesson - This is part 1 of a 6 part hands-on unit on Earth Science from a Christian perspective. Make an edible model of the earth, act out each of the Earth's layers, do core testing on a cupcake, make oobleck, and more! Rock Classification Lesson - This is part 2 of a 6 part hands-on unit on Earth Science from a Christian perspective. Make and eat "Sedimentary" Seven Layer Bars, create "Metamorphic" Snickers bars, do some rock mining, and more! Fossils Lesson - This is part 3 of a 6 part hands-on unit on Earth Science from a Christian perspective. The focus of this lesson is fossils! Create fossils casts, dig up and piece together dinosaur skeletons, excavate dinosaurs, eat edible ammonites, and more! Plate Tectonics and Volcanoes Lesson - This is part 4 of a 6 part hands-on unit study on Earth Science. 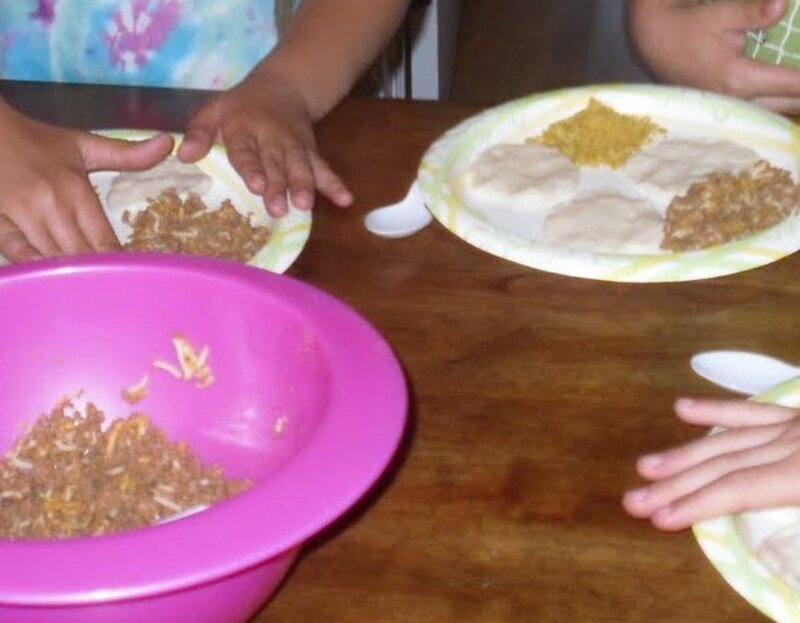 Make edible volcanoes, build an erupting ring of fire, demonstrate plate tectonics using graham crackers, form each type of volcano using play-doh, and more! 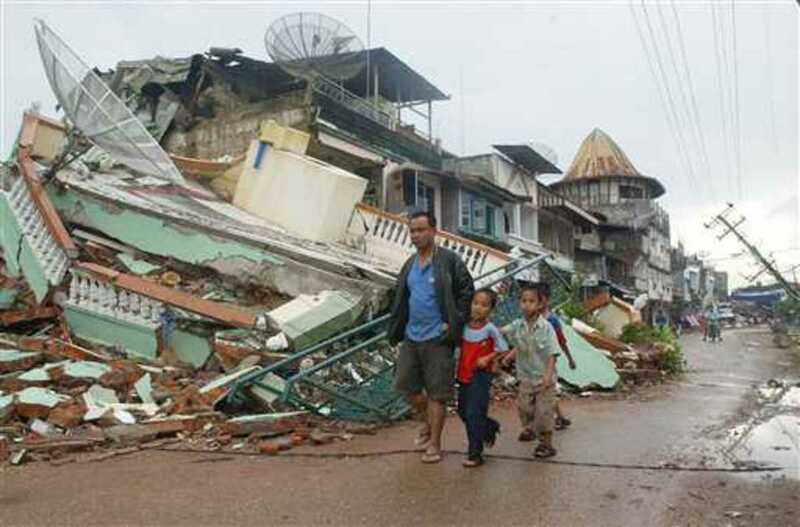 Earthquakes Lesson - This is part 5 of a 6 part hands-on unit study on Earth Science. Create a tsunami, build marshmallow structures that can withstand an earthquake, act out seismic waves, build and use a seismograph, and more! Erosion Lesson - This is part 6 of a 6 part hands-on unit study on Earth Science. 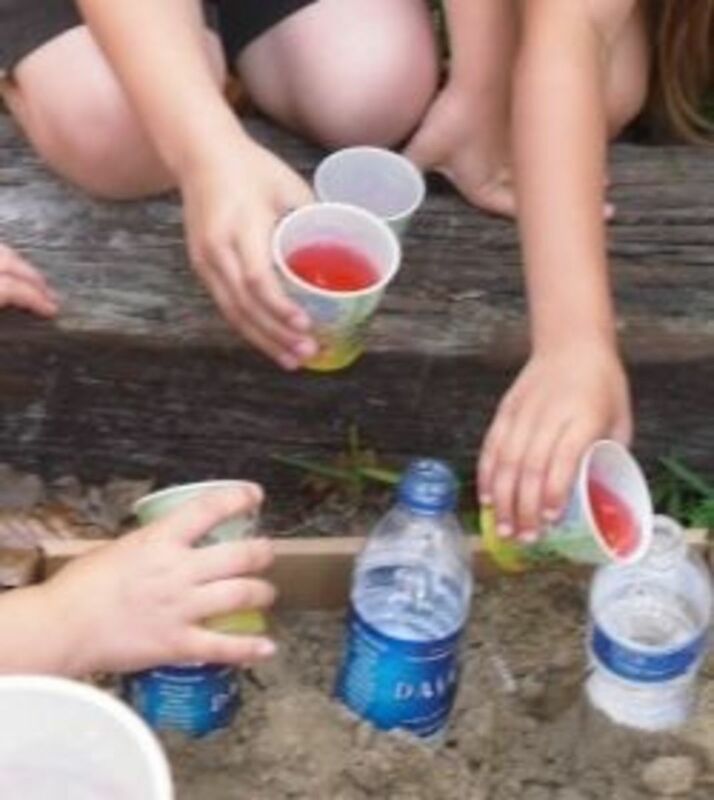 Demonstrate various types of erosion as children carve gullies and valleys in sand using air, water, and ice. Re-create the Grand Canyon. Compare how soil resists erosion. Earth Science Presentation and Field Trip Ideas - This is the culminating project we did after a 6 part hands-on unit on Earth Science. We made edible volcanoes, performed earth science demonstrations, displayed paintings of the earth's layers and volcanoes, sang songs about the earth science, and more! Also included are the field trips we attended during this unit. Would you like to focus more on Mt. St. Helens? Check out this more intensive study on Mount St. Helens that includes many hands-on activities and demonstrations from http://www.staidenshomeschool.com . Perfect Bible Curriculum for This Unit - These are the books we used for our Bible curriculum during our Earth Science Unit. They go perfectly with this unit! This is an EXCELLENT inductive Bible study series for children. They study scripture, draw the chapter, highlight key words, decode Bible verses, do crossword puzzles, apply scripture to their own lives, and more! Have You Ever Hiked Up a Volcano? I haven't yet, but it's on my to-do list. Which Volcano Is Your Favorite? - Or just let me know you dropped by! I love getting feedback from you! @KimGiancaterino: Thank you! Yes, I love eating our school projects! I like the idea of edible volcanoes. You can combine a learning experience with lunch. Excellent as always! Volcanoes really are fascinating, and I'll bet the kids love studying about them. I have only ever seen one Volcano up close and personal, and that's the one on St. Lucia, so I guess that's my favorite. 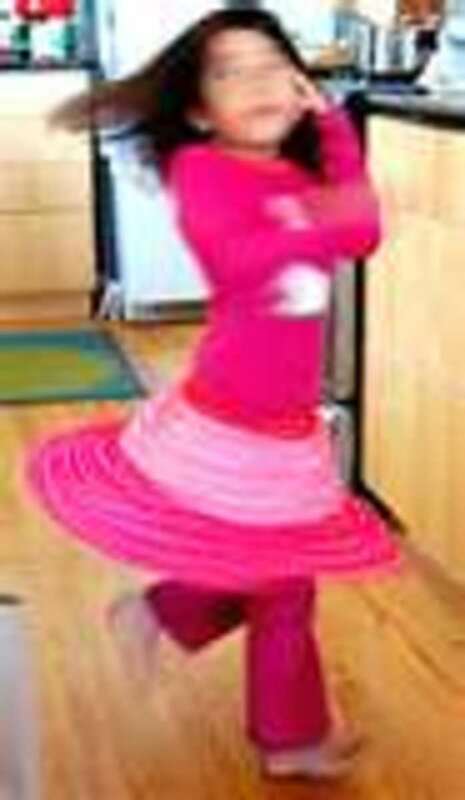 Every child would raptly attend to this lesson! Great way to teach kids about volcanoes and tectonics. Very informative and great looking lens. Awesome job! @jimmielanley: That's a great idea for another lens! Maybe I'll start on that one after I finish uploading all my lesson plans. MORE food?! You should write a curriculum entitled "Eating Your Way Through Science." What a fabulous lens! You have really put a lot into this and your co-ops must be educational and so fun!